I recently completed a job for Kingscliff-based fabric structure company, Fabritecture. 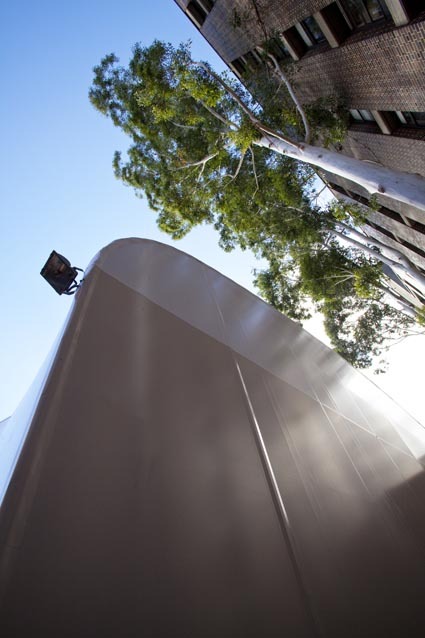 Two very different but equally interesting structures, one a soon to opened night spot in Brisbane’s Caxton Street, the other a semi-permenant lecture theatre at Sydney’s Macquarie University. Both locations presented their own challenges, not least the 2 men taking hours to fix the CCTV at the entrance to the Lotus Theatre ……. This entry was posted in photography and tagged alstonville, brisbane, commercial, fabric structures, fabritecture, Lotus Theatre, Macquarie University, photographer, photography, Sydney. Bookmark the permalink.